On July 24, 2018, Demi Lovato was hospitalized after overdosing in her Hollywood Hills home. Throughout her life in the spotlight, Lovato has opened up about her struggles with addiction and mental health. Her journey to recovery is one that is not uncommon among many others living with an addiction. Despite her fame, Lovato’s journey is similar to others experiencing the real struggles happening within the epidemic. The face of addiction is not always how it’s portrayed, and the stigma placed on the opioid epidemic can be dangerous. Her journey puts a face to a problem that needs more attention and shows that recovery is not as easy as it seems. Lovato started her acting career on “Barney & Friends” in 2002. She continued acting on the Disney Channel and then released her first album in 2008 at the age of 16. She continued to act and sing in various capacities through 2011, when she released another album and became a judge on “The X Factor” for three seasons. She continued to act and make music and even began writing. She’s released six albums, has been acting since age 10, and has been involved in a number of causes. Namely, she’s been outspoken about her own struggles with bullying, mental health, and substance abuse. While spending her life in the spotlight, Lovato was also experiencing issues with body image and mental health. At the age of 18, Lovato went to rehab for depression, bulimia, and self-harm where she was diagnosed with bipolar disorder. This is where Lovato admitted she had been self-medicating with drugs and alcohol. Since then Lovato has been open about her struggles with substance abuse and mental health and became an advocate for recovery. In June of 2018, nearly a month before her overdose, she released the song “Sober” where she revealed she had relapsed after six years of sobriety. Though it’s not clear what drugs caused Locato’s overdose, she was given Narcan which is an emergency medication to reverse the effects of an opioid overdose. However, no harm would be caused if a patient was experiencing an overdose caused by a different narcotic. 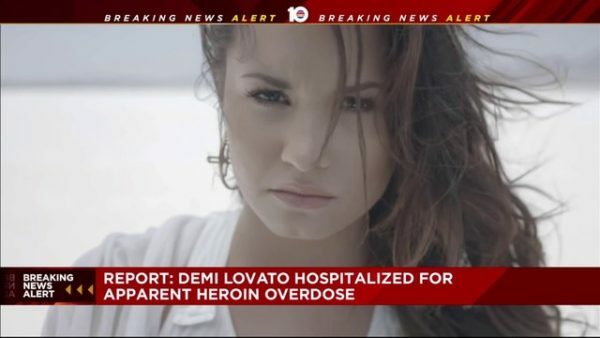 According to a man claiming to be her dealer, he and Lovato took Oxycodone that night which may have been laced with fentanyl — a synthetic opioid. Lovato’s experience with addiction is important because it shows that addiction doesn’t care who you are. Addiction and mental health struggles can often go hand in hand. In Lovato’s case, the two definitely did. 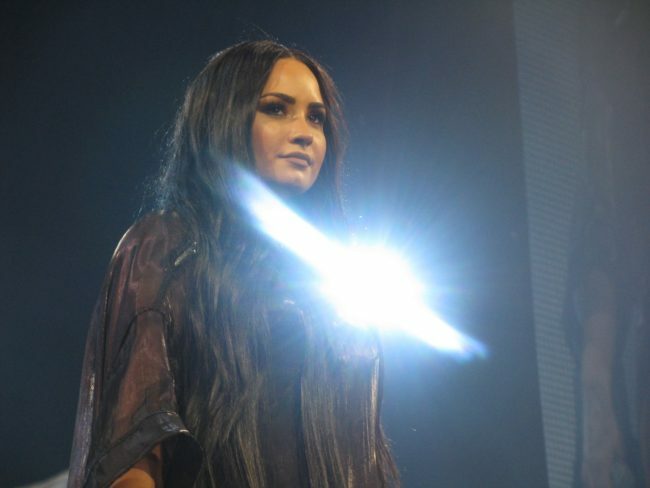 Self-medication takes on many different forms, and for Lovato, her struggles with substance abuse seemed to be tied to her issues with depression, self-harm, bipolar disorder, and an eating disorder. 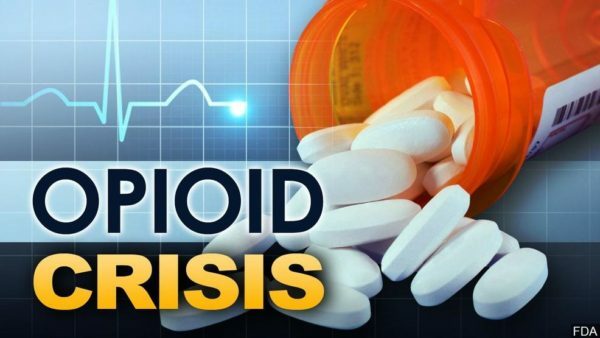 The opioid epidemic, and addiction in general, is not a problem affecting the “junkie,” or the stereotype you may think of when you consider the type of person experiencing addiction — it is an epidemic touching everyone. If Lovato did end up accidentally overdosing on an opioid she didn’t know she was taking, it shows the danger of fentanyl and how fast this opioid can turn into something nearly fatal. For many, it is fatal. In Massachusetts, for instance, fentanyl is causing more deaths than heroin. It’s being mixed into many different drugs, so illicit drug users are in even more danger. If it turns out that an opioid didn’t cause Lovato’s overdose, her experience still shows the overarching addiction epidemic that works as an umbrella over all substance abuse. It can be difficult for some to have any sympathy for those who abuse drugs because it’s a problem that can be hard to relate to if you haven’t experienced it yourself. The truth of the matter is that addiction comes in many forms. The opioid crisis is on the frontlines as we lose more people to a problem that started as a form of pain management and then snowballed. With more information, healthcare professionals are becoming educated on the crisis and how to help patients without exacerbating the problem. Some states are experimenting with medication-assisted treatment and needle exchange programs. For some, an overdose only takes one time taking a drug laced with fentanyl. The story is different for everyone, but the epidemic rages on. Lovato’s experience in recovery is not all that different than others experiencing addiction in that it’s a lifelong process. Her six years of sobriety were an amazing achievement, but it shows that addiction will often wait until you’re comfortable in your recovery to strike. For many others like her, treatment opportunities are far more limited, however. Despite her access to many different recovery options, she still experienced a relapse that almost cost her her life. For others who have more limited access to help, the process of recovery and relapse can be exacerbated. There is some access for affordable mental health and addiction recovery services, but the options can be limited, making it more difficult to find help that works. It’s important to note that addiction is a forever process. No matter how many years of sobriety a person has, that doesn’t change their status as an addict and their need for help. Substance abuse social workers, Narcotics Anonymous or Alcoholics Anonymous sponsors, or outpatient therapy sessions are all options for those hoping to keep an eye on their sobriety long into recovery. Just like Lovato, it’s important for others to know that recovery is a process, and sometimes relapse is a part of that process. Demi Lovato’s journey to recovery is important in showing the reality of the opioid epidemic because it can help to put a different kind of face on a problem that is costing people their lives. One major setback in the opioid epidemic, and the addiction problem as a whole, is society’s perception. When our culture colors addiction as a problem only affecting the scum of society, society chooses not to care about them. When a lack of compassion takes over, society no longer cares to find help to keep thousands from dying. There were a disturbing number of memes that came out about her experience which further stigmatizes how we perceive addiction. This is why stigmatizing an issue like addiction is dangerous — especially while opioids are killing people in epidemic proportions. Lovato’s journey is important because it’s not uncommon. Many people have had experiences just like hers. 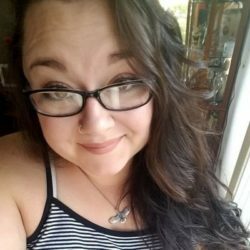 She’s battled through mental health struggles, self-medicating, and spiraling through relapse. This is not an uncommon story for many addicts. For those who can cheer for her to persevere, they can also cheer for other addicts like her to do the same. Lovato’s story is important because it helps others to see past the stigma and see what addiction really looks like — or what it doesn’t always look like. 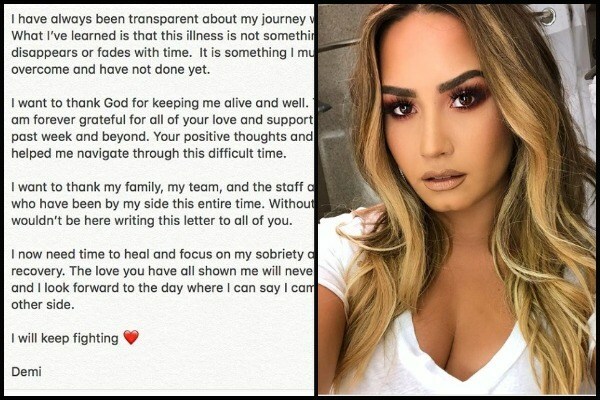 Lovato was released from the hospital is now focusing on her recovery in a rehab facility. She has posted about being transparent about her journey with addiction and that it’s an illness that doesn’t fade with time. As people around the world root for her to heal and get back on the road to recovery, they are seeing that the epidemic is touching people from all walks of life. They are seeing that addiction is difficult and life threatening. Lovato’s story is important in helping others see past the stigma. As Lovato continues on her road to recovery, hopefully others experiencing addiction will be inspired to find help. Hopefully others will see that an addiction doesn’t take away someone’s humanity and that everyone deserves help. Demi Lovato you are a strong , beautiful young talanted woman, you are my inspiration to get up in the morning lol.? your music is helping me daily to reduce my anxiety disorder. C,mon you are beter than this and hope you make a full recovery , i don’t want to see news saying you died you are too much of a beautiful girl to die young, you have so much more to give.? ?